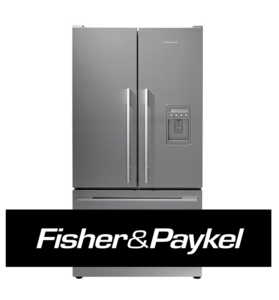 Got a problem with your Fisher and Paykel fridge? We are experts in repairing this brand of fridges and freezers. Same-day service with no call out fee throughout the Melbourne Eastern and South Eastern suburbs. Experienced, fully-qualified & insured mechanic. and popular designs that people usually choose when looking for a refrigerator. thought through carefully before manufacturing for the consumer. These machines have been intuitively designed to perform its functions efficiently with simplicity. When it comes to breakdowns the design lends itself to ease of diagnose, replace or repair for our experienced Fisher and Paykel service agents. tripping the main switch board safety switch or RCD. immediately when the refrigerator door is opened. heater which is an issue with all refrigerators no matter what model or brand. causing the door display to give a f20 error and immediately beeping when opening the fridge door. circuit is measured then the door flap heater is faulty and needs to be replaced. most likely the main board is faulty and needs to be replaced for correct operation. the wires are not severed too close to the sensor itself. have to purchase a new refrigerator due not being able to source parts needed for repairs.